These days, it was all about psychiatric ‘torture’, or ‘enforcement’, Sergey Klopotkin’s preferred term for what he did, deeming the former label too crude. ‘Pravoprimeneniye’ was the Russian word for it and he would rather that his line of work was as it had been during his father’s day: a matter of beating up someone so profoundly that he would confess to all manner of insanely implausible crimes. Not what he himself was presently reduced to: a bit part role of delivering the partially (in his view) beaten up to more subtle tormentors. When a boy, he would look at the calluses on his dad’s hands, earned from a day of smashing some intellectual in the face over and over again, in genuine awe when he returned home to the room in their communal flat. His father looked tough with his broken boxer’s nose, but then Sergey was oblivious to the daily defeat his dad endured by employing his ring mastery to knock the stuffing out of a man tied down and, at least at the early point in the proceedings, wearing glasses. But then, when his time came to take on the job, it had changed almost beyond recognition. Stalin had just needed his henchmen to bludgeon untruths from people when he felt the need arise. But now, under Brezhnev, torture had become cerebral almost beyond Sergey’s tolerance, though, of course, he would never voice that misgiving out loud. There was always some bigger, uglier and younger replacement that would gladly, if not joyously, batter him around a cell given the opportunity, or rather obligation, to do so. So he stayed quiet, when he wasn’t uttering threatening curses towards the almost-broken man he was dragging like a bag of rubbish to the doctors, with their needles and things, who would then go about what was more insidious work at the end of the day. He reflected that the intellectuals had won in a way, performing as they did both roles in the process of enforcement, whilst his type, increasingly redundant, scowled resentfully in the background. Then again, sometimes when tubes were being forced down throats, Sergey would again feel he mattered while using his break-neck arms to quell the ‘culprits’ as they struggled. But from his perspective in 1973, the ‘pravoprimeneniye’ industry had declined to a depressing degree. He just wanted out. But with things as they were, that was easier thought of than done. Sergey had been a wrestler, a good one, he always insisted to his friends. They agreed, as they invariably do, with their condescending, fearful nods. He had almost made the Olympic team, he swore. Those companions, some of whom had been good ones but prone to honesty and who hadn’t assented readily enough to his skills in unarmed combat, ended up serving terms of hard labour in some of Russia’s severest climes. A ‘lucky’ few even passed through Sergey’s brutal hands and feet. They were treated to a dropkick or two in the process, thus disabusing them of any doubts as to his former prowess on the canvas. Sergey would then allow himself a triumphant smile and pompous maxim, ridiculous in its implied homage to individuality: “You choose your own path,” he would always say to himself as he washed blood from wherever he could find it about his limbs and torso. Sergey had never consciously exercised any choice whatsoever in his entire existence. It was the motto that he had whispered at his son Andrei, ever since he was born on May 2nd 1972. But, though he liked to hear the words and feel their intimidating menace, Sergey didn’t really believe any of them. How, given his life, could he believe in anything? But somewhere within that phrase was a wish that things might have been different and he wanted his child to feel that, somehow, in his bones. Sergey didn’t want Andrei to be like him but neither, given what he had seen and done, did he want him to follow the road trodden by those of the bespectacled, the effete and the intellectual. He just wanted something to change. Sergey wanted out and, in some moments of despair, he would whisper this to his babbling infant while stroking his face. “I want to escape, Andrei,” he would say, tears welling up in his eyes. “For you,” he would add. But he never did. BIO: Colin Graham is a British journalist/writer who has lived in Eastern Europe for over a decade, including stints in St. Petersburg, Warsaw and Belgrade. 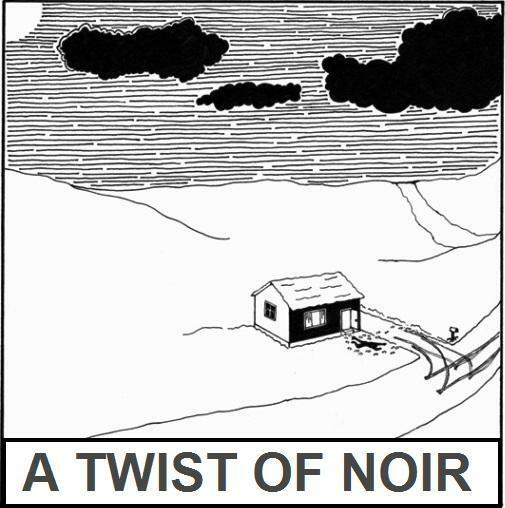 His short stories have appeared at Thrillers, Killers ’N Chillers. Chilling. I guess glasnost didn't bring an end to 'enforcement' and those whose trade it is to ply. Top tale Colin. Powerful, hard hitting stuff. Great work. Even when there is no choice we cannot escape the blame in our own hearts. This story makes the reader face some dark truths inside his own head. Good exploration of just what "choice" is all about. Thanks for those remarks, guys. Much appreciated. Wow. Terrific, introspective story. Well done.